A brave mum is determined to overcome her fear of heights by going up in a hot air balloon for charity alongside her terminally ill daughter. Kathleen Carr, fromEast Boldon, and her daughter Elaine, 41, are doing a sponsored hot-air balloon ride for the Samantha Dickson Brain Tumour Trust. The charity funds to research into child and adult brain tumours and offers support and information to patients and their carers. Elaine has been living with a brain tumour for four years and last July was given just a year to live. The 41-year-old said: "When I was first diagnosed, mum said to me 'I will do anything the same as you, but please don't ask me to have my head shaved', so I thought 'what can I get her for a punishment?'. "I saw an offer for half-price balloon rides that had to be booked by Mother's Day, so I rang up." Kathleen, 67, who lives with husband Wilf, 70, in Lyndon Grove, said her daughter has a wicked sense of humour. "She knows how frightened I am of heights," she said, "She does anything to put me on my toes." and her speech later became slurred. Doctors thought she had suffered a stroke, but a scan showed a brain tumour. She has had chemotherapy and radiotherapy at at Newcastle General Hospital and is waiting for a scan to see if the treatment has shrunk the tumour. Elaine, who has had to give up work as an embalmer, said: "I don't let it get me down. Because of my job, I have always had a healthy attitude to death. "I just take it on the chin. What else can you do? My mum and I tend to joke about it." The pair have raised about £300 so far and sponsor forms have been distributed to local business, as well as family and friends. 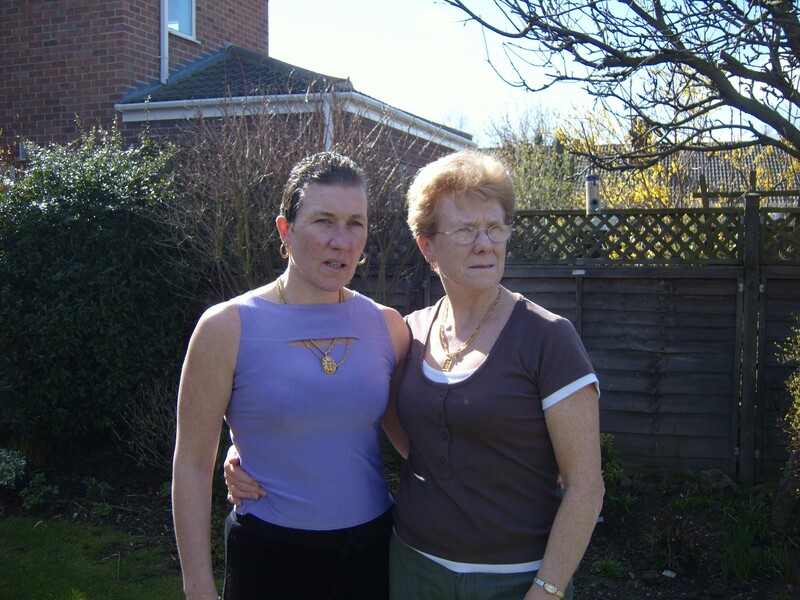 Elaine said: "It is not going to help me, but it can help someone else – and it will be worth it to see my mum's face." The mum and daughter duo will lift off from Bishop Auckland, County Durham, on Friday, May 16, with Virgin Balloon Flights UK. You can read Elaine's story here.